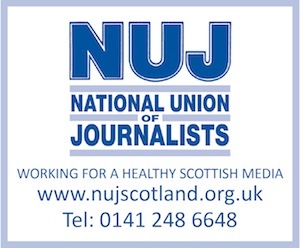 PRINT and broadcast journalists seeking to develop their skills in newer forms of media are being invited to apply for places on a course taking place early next year. The Edinburgh Skillset Screen and Media Academy, based at Edinburgh Napier University and in association with the Edinburgh College of Art, is offering ‘Introduction to Multi Platform Content Creation for Journalists’ during four sessions during February. Says the academy: “People no longer consume media in just one medium, which poses both huge challenges and opportunities for Britain’s media workers. The age of the single media specialist is disappearing rapidly, and everyone who works in the media – particularly journalists – must think about more than one platform when working with content. 360 degree commissioning has moved from being a buzzword to being a reality. February 22: Introduction to IP rights and monetisation of content. The course fee is £300 but participants may be eligible to receive funding (perhaps as much as 80 per cent) through Skillset’s Multiplatform Bursary Scheme. The course tutor is Murray Cox, who has been an online journalist since 1998. His experience covers newspapers (Edinburgh Evening News, The Scotsman, The Sun, Daily Mail), radio (Northsound, Scot FM, Forth FM and BBC Radio Scotland), television (Special Broadcasting Service in Sydney and Australian Associated Press), but, say the course organisers, it is the internet that is his first love. He worked on the launch of the MSN network in Australia in 1998 and then joined BBC News Online in 1999, where he helped launch the Scottish news site. He then spent more time in Australia in charge of news digital media at SBS and Australian Associated Press. Murray has also delivered training in social media to PR, marketing and communication professionals at Channel 4 TV, HSBC and Barclaycard. Applications are required by the 12th of next month.